We all know that F1 drivers are ‘compact’ and lightweight, like the cars they race——but this photo really did crack me up this morning! 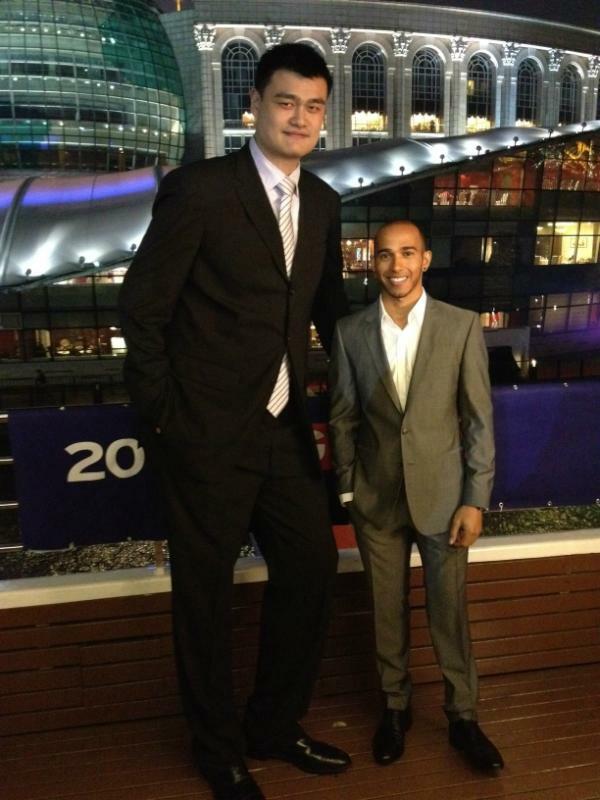 Yao Ming (NBA) and Lewis Hamilton from F1. …but it’s weird that their shoes seem to be almost the same size.